The Kurgan ~ Built By A Prediluvian Civilisation? | We Seek the Truth! The following video is brought to you courtesy of the Mystery History YouTube Channel. Click the video below to watch it now. The Royal Kurgan. 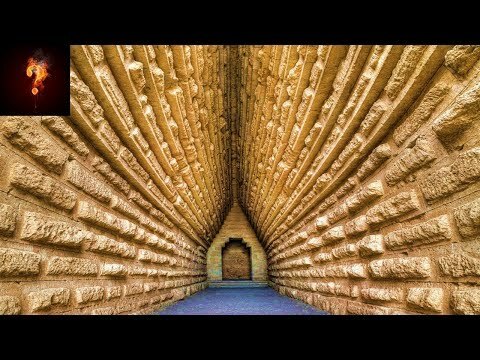 Undoubtedly an astonishing, highly unusual ancient structure. One of many such structures found within the local area, yet the royal Kurgan the most impressive by far. Found within eastern Crimea, this incredible building, predictably, like many other miraculous, possibly Pre-Cataclysmic, as yet, unexplained ruins, which we so often cover on our channel, not only possesses features strongly indicative of a culture, far Pre-Dating the current academically attested constructors, but this impressive structure, like the many of the other structural relics found throughout the world, is claimed as a mere tomb. We hypothesis, this is due to their inexplicable nature, revered by our more recent ancestors, and as such selected as burial locations for rulers of these more modern, well-studied residents of the area. With the Royal Kurgan being no exception. According to academic study, it was apparently created with the sole purpose of being that of a tomb, constructed for the ruler of the Bosporan Kingdom, within the 5th century BC. We postulate however, that these structures were merely reused as tombs, subsequently becoming Locations of worship for these once powerful individuals. Our claim that the Kurgan far pre-dates these technologically challenged, academically claimed cultures, is also strongly supported by architectural evidence found elsewhere on earth. Sharing unmistakable, compelling characteristics with other, well-known ancient structures we have previously covered. Which we postulated, due to the great antiquity of the structures, were undoubtedly surviving relics of a now lost pre-diluvian civilisation. We are told by those in the so called know, that the royal kurgan was most likely the tomb of Leukon of Bosporus, who lived from 389 to 349 BC. This hypothesis, largely due to excavations undertaken during the years, 1833 to 1837. Unfortunately, when the kurgan was opened, only remnants of a wooden sarcophagus remained, grave robbed like so many other important historical relics, often ransacked in search of treasure. It is unquestionably an enigmatic structure, with its most unusual, and also recognisable feature, being the mysterious, almost unique shape of its stonework. However, most intriguingly, this usually shaped stonework, is a feature also found within the fortress of Nimrod, located upon the southern slopes of mount Hermon, located an impressive, one thousand, three hundred miles away. And due to the fact that the fortress of Nimrod, and Jerash alike, feature this stonework at foundation level, officially recognised as the oldest portions of both sites, we can logically presume that the royal Kurgan, not only shares the same constructor, but also likely shares the same tremendous antiquity. What’s more, due to the sheer size of some of the stones utilised within Nimrod, indicates that it is existing work, created using lost knowledge, thus, built by a lost civilisation. Who Built the Royal Kurgan within Eastern Crimea? The surviving foundation at Jerash in Jordan? Or indeed the original structure found at Nimrods castle? Were these structures built by the same, once highly capable, highly advanced ancient civilisation? If not, why do they share such an unusual, unique style of stonework? What was the Royal Kurgan Built for? We find its enigmatic shape, construction technique, and indeed, seemingly identical stone characteristics, linking it to the other ruins of tremendous antiquity, each located thousands of miles apart… highly compelling.